The look I was going for was a natural, slightly enhanced look. When I met with Belinda at Emerge Spa she was absolutely amazing! She was very calm and kept my nerves at ease during the entire process. I was pretty scared at first, because I was afraid of the amount of self inflicting pain I was about to endure and also the outcome. I’ve seen too many botched shows! I was afraid I was going to come out looking like Farrah of of Teen mom! LOL I know right, that’s mean but she seriously got messed up and I didn’t want that to happen to me. However, Belinda was very thorough and asked a lot of questions on what I wanted and what kind of look I was trying to achieve. She was very informative and explained the different types of fillers I could choose from. She also informed me that she was highly trained and has been doing injections for over 11 years. After letting her know what I wanted, we chose the Juvederm Ultra. The Juvederm Ultra is more of a natural filler. She explained that the Juvederm Ultra Plus is the more dramatic filler. 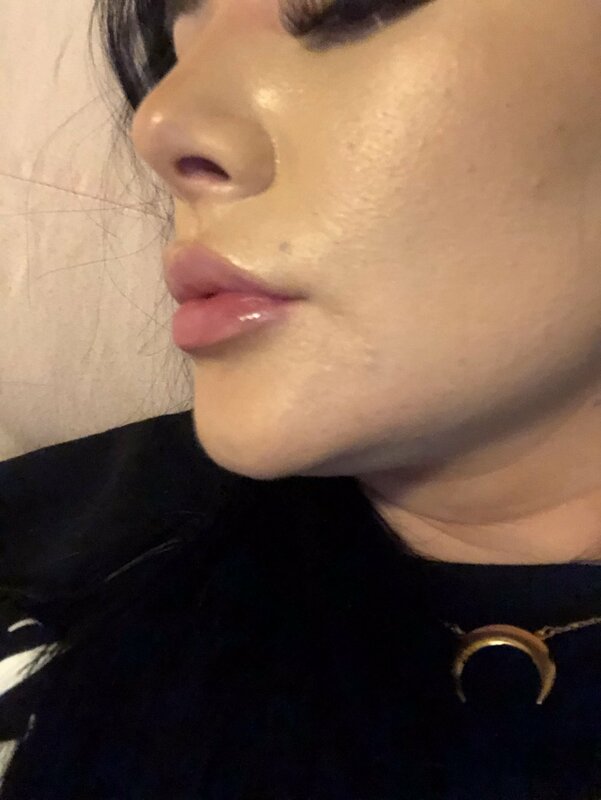 If you’re looking for super full plump lips then, I would recommend going with that filler. The next step was the numbing process. She applied topical numbing creme on lips. The topical is left on for about 20 minutes prior to the procedure. This helps alleviate the pain. The lip injection process literally took under 4 mins. Belinda was so fast! I video taped the injection procedure myself. I wasn’t sure I could. I was scared of the pain but, I was able to do the whole procedure without any problems. You can watch the entire lip injection process on my instagram here. Look - The end result is the biggest pro and by far trumps all of the cons. You’re left with beautiful luscious lips. I’m so pleased with my injections. I recommend this procedure and would do it again in a heart beat! Longevity - The injections last 9 - 12 months. So you don’t have to get them redone often. Pain - the pain was minimal for me, but everyone’s pain tolerance varies. It could be painful for you depending on your tolerance. Cost - Fillers range from $300-$900. It’s def not cheap, but worth it if that’s the look you’re trying to achieve. Swelling and Bruising - depending on your lips, you could experience swelling and bruising. Usually ice helps with this. Emerge conveniently offers you ice packs immediately after the procedure to reduce any risk. They also inform you not to take Tylenol or drink red wine within 24 hours of the procedure, as this makes the bruising worse. I did experience some bruising and some swelling, but it wasn’t bad. It was totally bearable. If you’re in the Tulsa area and are thinking about lip injections you should check out Emerge. Belinda is the owner and the one who performed my injections. I do have a coupon code for you! If you use code: CADY now through 3/30/2019 you can get $100.00 off a full syringe of filler. Purchase your full syringe here.